http://filmmusic.net – This is a great resource for all things related to music in film and TV. Sign up for the free email list and check out what licensing opportunities they have by clicking on the View Current Film and TV Music Job Listings. It costs a little bit to submit to jobs, but it costs less if you're a member. If there are a bunch of jobs you want to submit to, do the math and if it makes sense sign up for the membership. http://hearitclearit.com –This is a music supervisor’s website where he posts what projects he is currently working on and what types of music he’s looking for. Sign up for his email list and check out the opportunities there as well. It's nice that this one doesn't cost any money to check out. But he doesn't always have current projects. http://www.goodnightkiss.com/subsc.html - There is a small yearly subscription fee to sign up for this list, but there are lots of informative articles on music licensing here too that you may find helpful. You'll get an email once every couple weeks where they are looking for music for this or that. If you just go to each website and sign up for the email list, it shouldn’t take you very long. However, there is a lot of useful information on these sites as well, so you’ll probably want to spend some time reading articles or checking out the music needs by listening to clips and trying to see if you have music similar enough to submit. If you do find something you think you have a song for, read the submission guidelines carefully and follow them exactly for the best chance of being seriously considered. These three websites will give you some immediate places to look for music licensing opportunities and submitting your music for consideration. 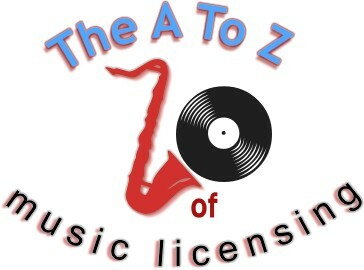 Are there other places that you go to find music licensing opportunities? If so, please share them in the comments section below.